As we all know, we have to look glamorous on the wedding. But if you are a bridesmaid to the bride, you should not make yourself look overdue as the bride should be the most beautiful woman that day. 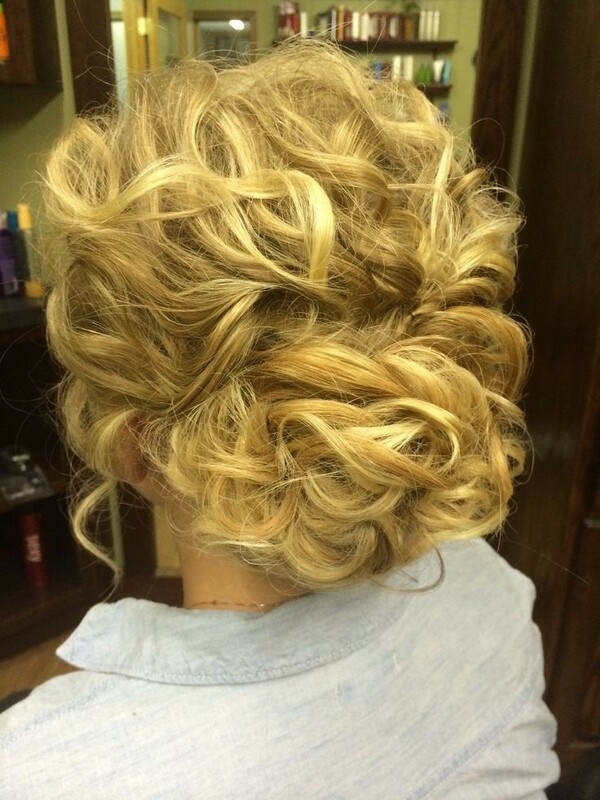 Just like the wedding hairstyles, the updo is also being a good choice. You can make a braided one or twisted one as you like. Besides, the elegant half updo half down hair will also make you look great. Follow us with 32 Amazing Bridesmaids Hairstyles and pick out one favorite! The long wavy hair can also work as a glamorous bridesmaid hairstyle with a lace veil or a flower headband if you don’t have too much time to prepare before the wedding. 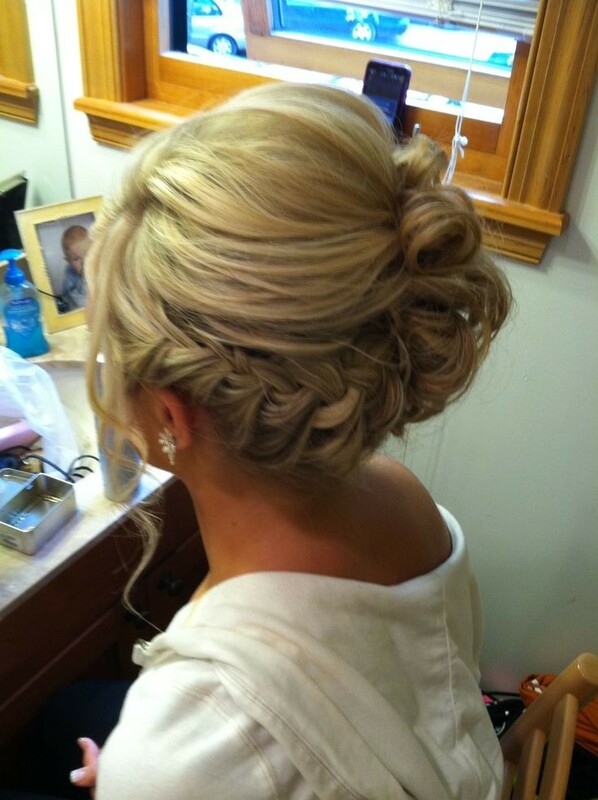 Braided updos are always being a preference for a great wedding look. You can create a small braid wrapped around the messy bun to get a boho-chic style. There’re many different ways to wear the beautiful waterfall braid. And it really looks overwhelming on all kinds of hair colors. 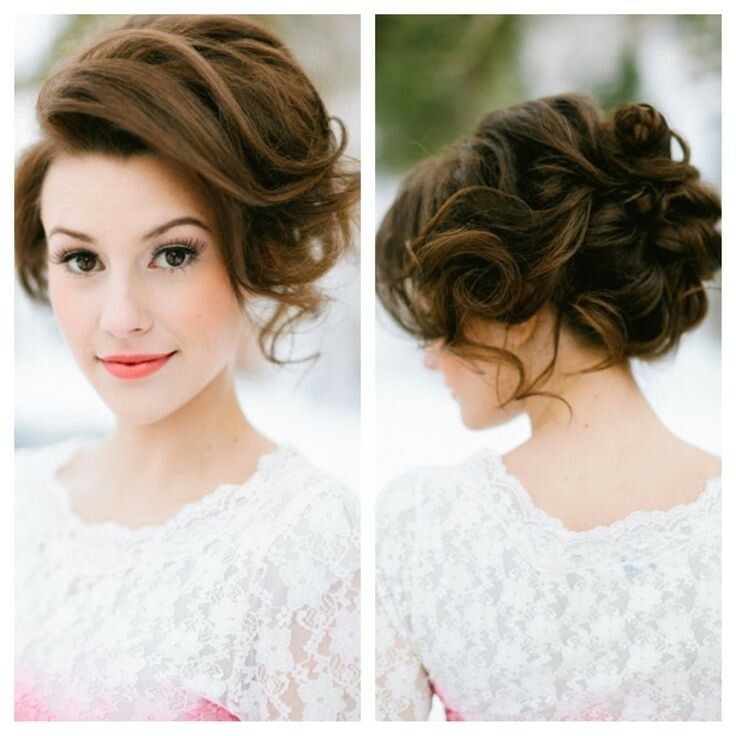 Updo hairstyles are being a perfect choice for girls who need to attend a formal occasion. They can be easily dressed up or down with a hair pin. The splendid braided hairstyles will never step out of the trend for women. It will look fabulous if you make it at one side over the shoulder. The waterfall braid looks amazing and luscious on dark colored hair. You can loosen up some top layers to create added volume and height for the whole look. This is a glamorous way to deal with the curly hair for women and it will look better on natural curls. 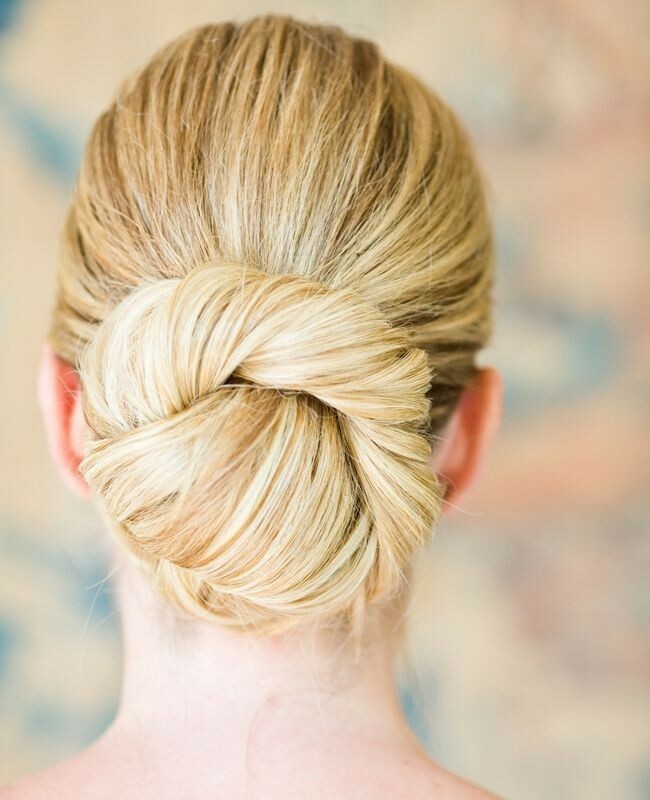 This is a very easy updo for all girls who want to look a little formal than usual. You need to twist your hair loosely into a bun and define the final shape with your fingers. The elegant updo is definitely being a great choice for bridesmaid hairstyles. This time, you can style it a little tousled to show off your soft curls and twists. 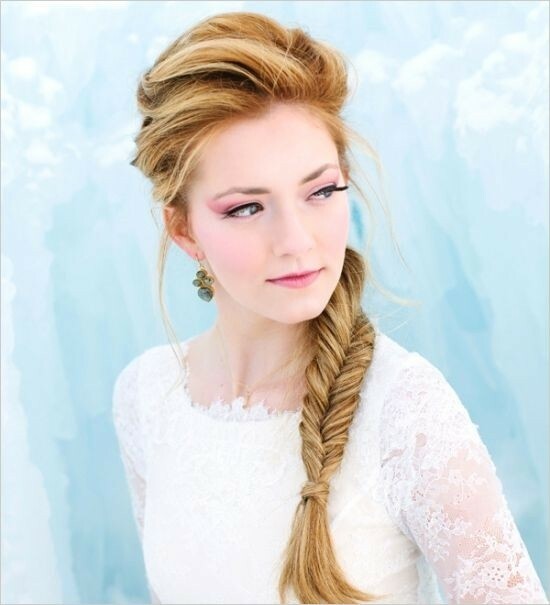 Here’s another way to wear a stunning braided updo in the wedding. It is style to one side and you can flip your head down and French braid the bottom hair loosely to make this hairstyle. For those girls with long curly hair, it is a great choice to make a side French braid when attending your friend’s wedding. It will make you look glamorous but not too glamorous as the bride. This beautiful bridesmaid hairstyle is featured with much of volume and glamour in the body. You may need a large curling iron before you want to create this stunning look. 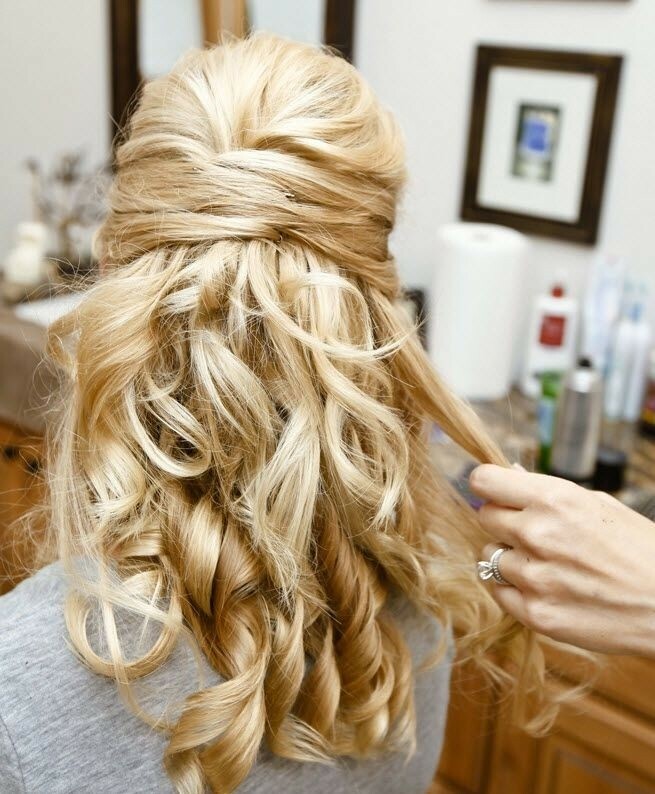 Half up half down hair always plays an important part for wedding hairstyles. And it will give an extremely charming look when made on curly hair. The beautiful French twist is one of the most classic hairstyle for women. This hairstyle can be even worn in the office if styled in a polished look. This is a simple yet classy hairstyle for all women. You’ll only need to twist you hair into a round shape and fix with an elastic to get this daisy look. This is a very easy updo to make for all women. Pull your hair back into a low ponytail and loop some pieces through the elastic artistically for a flowery shape. 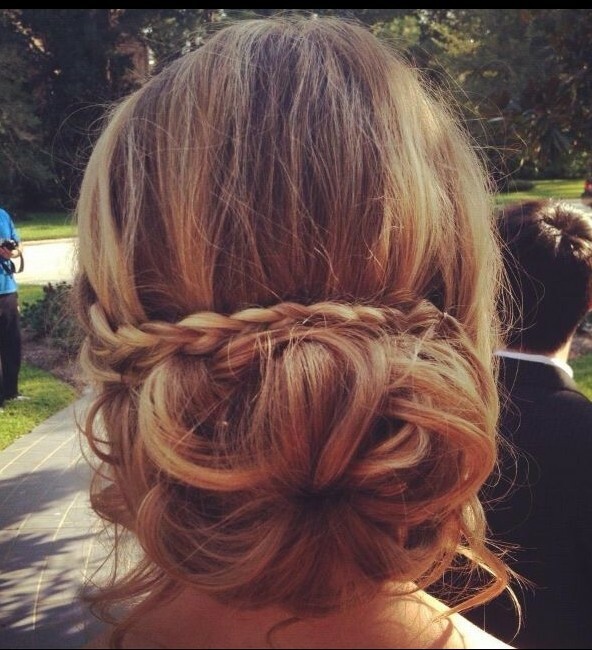 Here is a very simple and cute hairstyle for all bridesmaids. You will need to create a low bun first, then braid your side hair and wrap the braids around the bun. Tuck the ends inward and fix with bobby pins. A small braid will be able to give a more charming style for the cute bun. 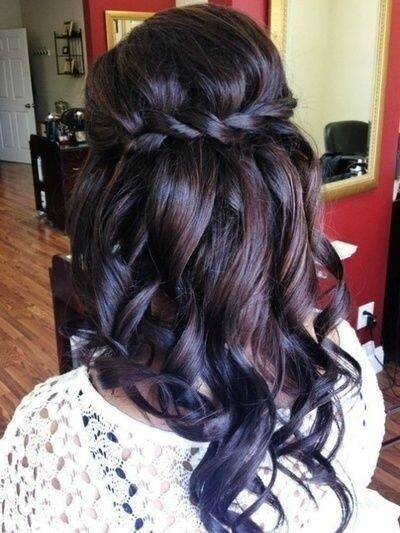 It is being an ideal hairstyle for the bridesmaid to look terrific in a wedding.